My second grade class has been doing a unit on life cycles and embryology. 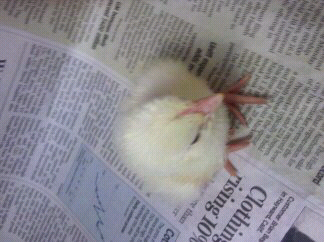 As a part of this, we recently hatched some chicks! 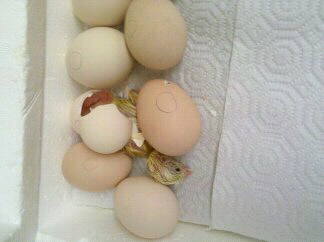 We started with 14 eggs... 1 was not fertilized and was thrown out. Over the past two days ten of our chicks have hatched!! It was really incredible to watch them peck their way out of their shells and begin their little lives. My maternal instincts have really kicked in as we have all cared for and loved these tiny little creatures. Baby chicks don't always do well; some classes have had chicks that were deformed or didn't survive. It feels like good karma to me that all of our chicks have been so big, healthy and happy. I hope that Clara does just as well in a few weeks! Just imagine him huddled up with nine friends. Doesn't get much cuter!